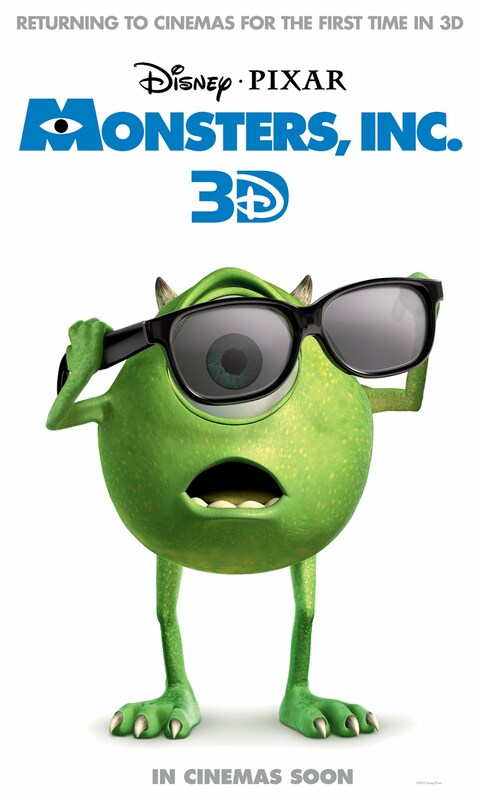 Disney/Pixar has just launched the teaser poster for the theatrical, 3D release of the now-classic “Monsters, Inc.” If you didn't know yet, the film is one of Disney•Pixar’s most beloved creations ever. The film is set in Monstropolis, a thriving town where monsters of all shapes and sizes reside. Sulley (John Goodman) and best friend Mike Wazowski (Billy Crystal) are the top scare team at Monsters, Inc. The main power source in the monster world is the collected screams of human children and at Monsters, Inc., an elite team of scarers is responsible for gathering those precious natural resources. Believed by monsters to be toxic, children are strictly forbidden from entering Monstropolis. But when a little girl named Boo (Mary Gibbs) accidentally follows Sulley back, he finds his career and his life in utter chaos. “Monsters, Inc.” will be in Philippine cinemas on January 2013, and will be presented in Disney Digital 3D™ in select theaters.